Admit you can't do much to help. Tell them that's exactly what you are doing. But here's the crazy thing: It works. For a large number of participants in these "open-label" placebo trials, knowing that their "treatment" is an inert pill doesn't stop them from feeling relief. Placebo research sounds like an oxymoron. 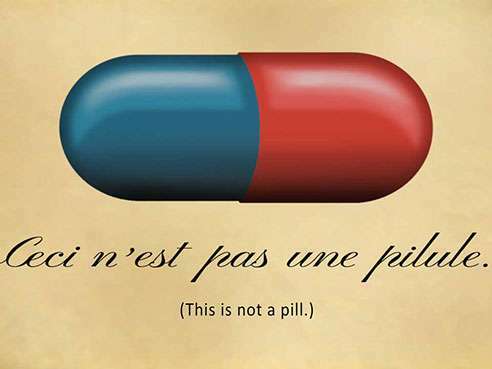 Placebos are the stooges of medicine, the character in any clinical trial that everyone is rooting against. But they also have some remarkable properties. "For some clinical conditions, in anywhere from 30 to 50 percent of clinical trials, the placebo is just as good as the drug being studied," said Teri Hoenemeyer, a doctoral student in health behavior at UAB who is studying placebo effects in cancer survivors. Researchers used to assume (and many still do) that this meant the drug being studied wasn't any good. But others have produced convincing evidence that something deeper is going on. Ted Kaptchuk, director of the Program in Placebo Studies and the Therapeutic Encounter at Harvard University and Beth Israel Deaconess Medical Center, and a professor of medicine at Harvard Medical School, may have done more than anyone else to reveal the surprising power of placebos. Kaptchuk's clever, intriguing studies have drawn national attention, including a lengthy profile in the New Yorker. His most famous experiment, published in the journal PLOS ONE in 2010, recruited 80 patients with irritable bowel syndrome, a painful condition with few available treatments that affects up to 15 percent of Americans. One group of participants got no treatment. The other group was given inert pills, clearly labeled "placebo pills," and told the medications were fake. But the researchers also explained that patients often experience benefit from placebos. To everyone's surprise, this group reported twice as much improvement as the untreated control group. That finding received wide media coverage. A reporter for NPR interviewed a participant in the trial, who revealed that her symptoms—cramps, bloating, diarrhea—"went away," said Kaptchuk. "Some of the patients came back and asked for more pills." The great benefit of an open-label placebo, Kaptchuk said, is that "it's an honest placebo." No deception is involved. "Ted never thought it would produce a benefit," said Kevin Fontaine, Ph.D., chair of the Department of Health Behavior in the UAB School of Public Health, who has been interested in Kaptchuk's placebo research for several years. "But now he's done studies with depression and migraine as well. And in every instance, there's been a significant benefit." At Fontaine's invitation, Kaptchuk recently visited UAB to give a talk on placebo effects at the Comprehensive Cancer Center. "The role of placebos and their impact on human health is bigger than many of us realize," said Edward Partridge, M.D., the center's director, in introducing Kaptchuk. "I think he's really onto something important, and it will move into mainstream medicine." Fontaine feels the same way. "I'm fascinated with the topic," he said, "but also with trying to find creative ways to affect symptoms. The burden of things like fatigue and pain on quality of life is extremely high, and we just don't have effective treatments. So if we can take advantage of this phenomenon in a way that produces benefits to patients, that is my primary motivation." Hoenemeyer, who is director of education and supportive services at the Cancer Center as well as Fontaine's graduate student, decided to focus on the open-label placebo concept in cancer survivors for her doctoral thesis. Kaptchuk, who now holds an adjunct faculty appointment at UAB, is acting as a consultant on the study and an advisory member of Hoenemeyer's dissertation committee. "People who have survived cancer, no matter which type, often experience a penetrating fatigue that seems to go on indefinitely," Fontaine said. "It really compromises the quality of their lives, and currently there are no effective treatments." This summer, Hoenemeyer hopes to begin enrolling patients in the first study of an open-label placebo in cancer. The seven-week trial will be open to cancer survivors who have completed treatments for at least six months, and are experiencing at least moderate levels of cancer-related fatigue. "We want to see if we can make any difference in symptom severity," Hoenemeyer said. Participants will be divided into two groups; for the first two weeks, one group will receive the placebo pill while the second acts as a control. Then, after a weeklong "wash-out" period, they will switch places. "Wash-out" time is common in drug studies, when investigators want to give participants time to clear one medication out of their system before starting another. "Believe it or not, that seems to be important in placebo trials as well," Hoenemeyer said. The researchers will be looking at intra-group and inter-group differences. They will also collect saliva samples from all participants and analyze these samples for evidence of a potential genetic biomarker of response. Previous studies by one of Kaptchuk's students at Harvard have found preliminary evidence of a genetic predisposition in patients who respond well to placebos. In 2013, Fontaine, Kaptchuk and Gareth Dutton, Ph.D., a colleague in UAB's Division of Preventive Medicine, sought funding from the National Institutes of Health to apply the open-label approach to see if it would help people lose weight. "All of the patients would get a diet and exercise program," Fontaine explained, "but half of them would also be asked to take open-label placebo pills." The researchers would then see whether or not the pill-taking group lost more weight. "The interesting thing about this study is it would produce objective outcomes—weight loss, body composition, and physical activity—instead of just reported symptoms, and quality of life," Fontaine said. Although the grant received a perfect peer review score, it was not funded. "We were told that the study moves us too far beyond what we currently understand about placebo effects," Fontaine said. Studies such as the UAB cancer trial, and other work ongoing in Kaptchuk's lab at Harvard, are attempting to advance our understanding of those placebo effects. "We believe there's some element of classical conditioning going on," Fontaine said. "Throughout your life, you take a pill and you see an effect. You take an aspirin, for instance, and it takes away your headache. There's an association there in your mind, and the idea is that the ritual of taking pills may actually produce a beneficial effect." Consider, Fontaine said, that "effective treatments have really only been around for the past century." Before then, he continued, "the physician, or the healer, had to be able to alter a patient's perceptions, change their expectations or create benefits even when he or she couldn't tangibly give anything that was beneficial." Placebo responses could also be a matter of expectations. "Part of the intervention when we give the placebo pills is to create a rationale for why they might work," Fontaine said. "We talk about all the studies that have shown an effect, so the person begins to develop an expectation that if I take these pills I'm going to have a beneficial effect." That is what happens routinely in clinical care, Fontaine points out. "When a physician sits down with a patient and writes a prescription, the patient's expectation is this is going to help." Another idea, "one that Ted is particularly keen on," Fontaine said, is the role of "nonconscious mechanisms." If you go to a horror movie, for example, "you know it's not real, and yet you have a physiologic response," said Fontaine. ("The brain has been called a prediction machine," Kaptchuk said.) Somehow, Fontaine explained, "taking the pills may engage the imagination and simulate a therapeutic response." Interestingly, people with Alzheimer's disease don't seem to have a placebo response, Fontaine says. "That could be because the prefrontal cortex has been impaired, so they can't develop the expectation, or they are not aware of it." At this point, however, "I'm less concerned with the mechanism than with whether or not it actually has a benefit," Fontaine said. "If it does, then we can try to figure out the mechanism."